When you make a purchase of one of our products, we will collect certain information in order to process that payment including: your name, address, payment card information, organization (if applicable) and email to send you a receipt. This information is used to verify your identify and that the payment card that you have selected for the payment is valid. Whenever you play our games, we collect data about all of your interactions with the game and with the other players inside the game via server log files. When you create and share levels using the Level Editor, some of your personal information related to your Steam account, including your username, may become available to other users. Please note that this type of disclosure is not covered under this Policy, therefore you should not include any personal information such as your address, telephone number, financial information, in your username in the interest of safety, privacy and security. Also, if you choose to engage in any discussions or forums about the Services, you should not post anything that might put you at risk. Blueprint Reality is not responsible for monitoring that type of disclosure of information, and Blueprint Reality is not liable for any consequences that may result from the exchange of this information in that context.  Whenever you use MixCast we collect certain information about what game is being played with Capture, the name of the camera-tracking device, device name, isolation mode, Device Field of View, output mode. If you incorporate the MixCast SDK into your project, we collect certain information, including the project name, MAC address, what version of the MixCast SDK you are using, your name, organization (if applicable). This information is used to deliver the Services to you, to help ensure the best possible experience, and to offer customer support, when necessary. WHY IS YOUR INFORMATION BEING PROCESSED? When we process your information in relation to our Services (including for our records, dealing with customer requests, providing customer services, administration, statistical analysis, assessing financial standing, recovery and collection of debts, dealing with regulatory and compliance issues, security messages, payment processing, sending receipts) we rely on the lawful basis of having a contractual relationship with you. When we process your information to communicate with you (including notifying you of our promotions, newsletter, targeted advertising and marketing of services), we rely on the lawful basis of consent to process your information and we are committed to obtaining that consent in a legitimate way. When you provide us with personal information to complete a transaction like purchasing our Services, we engage in business activity and imply that you consent to our collecting it and using it for that specific reason only. If we ask for your personal information for a secondary reason, like marketing through our newsletter, we will either ask you directly for your expressed consent, or provide you with an opportunity to say no or to unsubscribe. You always have the right to remove your consent from any such processing subject to certain allowable exceptions (e.g., if certain information is necessary to provide the Service, or the withdrawal of your consent would frustrate the performance of a legal obligation) at any time by following the unsubscribe link to change your preferences. Note that your decision to withhold or withdraw your consent may restrict our ability to provide a particular service or product. When the information is available from a public source (e.g. a telephone directory). When such collection, use or disclosure of information is permitted or required by law. There are times when we will process your information on the lawful basis of our legitimate interest, for example when contacting you about new product offerings and conducting customer satisfaction surveys to enhance the provision of our Services. For this type of processing, we will always take into consideration the effect of such processing on your fundamental rights and freedoms, and if we believe that the communication would be an infringement on your rights, we will not proceed with that communication. HOW IS YOUR INFORMATION BEING PROCESSED? We only process your information where necessary to fulfil the purposes identified herein. Sending you notifications about your transaction. Facilitating communication between you and Blueprint Reality. Analyzing and monitoring Service usage and making improvements, enhancements and customizations to your experience. Investigating and resolving outages, malfunctions, or problems that you may be having with our Services. Ensuring the security of the Services, preventing fraud, and enforcing our policies. Responding to any dispute, or legal proceeding of any kind between you and Blueprint Reality. Sending you marketing, advertising material, and other content and providing you with information and advertisements about offers, discounts and other services relevant to you, or that we believe you may find interesting. WHERE IS YOUR INFORMATION BEING TRANSFERRED? In order to provide our Services to you, we will transfer your information to Blueprint Reality in Canada (recognized as an “Adequate” country), irrespective of the country in which you reside or from which you provide your information. The transfer of your information is done in a secure way and in compliance with data protection laws. We may also transfer your information to third party suppliers to provide part of our Service to you. Some of these providers may be based in countries outside of Europe. We take steps to ensure that any third-party service provider provides adequate protection for your information by entering into agreements with them that contain data protection clauses that are in line with the data protection laws. Blueprint Reality is committed to protecting the security of your personal information. We use a variety of security technologies and procedures to help protect your personal information from unauthorized access, use, or disclosure. Although we make good faith efforts to store the information collected through our Services in a secure operating environment that is not available to the public, we cannot guarantee the absolute security of that information during its transmission or its storage on our systems. Further, while we attempt to ensure the integrity and security of our network and systems, we cannot guarantee that our security measures will prevent third-party “hackers” from illegally obtaining access to this information. We do not warrant or represent that your information will be protected against loss, misuse, or alteration by third parties, nor do we represent or warrant that the information or material, including the downloadable software, accessed from or through the Services will be uninterrupted or free of errors, defects, or other harmful components, or we will attempt to resolve any such problems. In the event that we do attempt to resolve any such problems, we will not be held responsible in the event of damages or malfunction. WHAT RIGHTS DO YOU HAVE WITH REGARDS TO YOUR INFORMATION? You have the right to request access to your information and to know how Blueprint Reality uses your information and to whom it has been disclosed, subject to certain limited exceptions. You can assert this right by accessing your personal account on the Blueprint Reality website. You may also contact us with an information access request and we will take all reasonable steps to assist you with any legitimate request for access, but the actual control of information and other customer data will be with Blueprint Reality. Any request to access information must be made to Blueprint Reality in writing and provide sufficient detail to identify the information that you seek. Blueprint Reality will make the requested information available within 30 business days or provide written notice of an extension where additional time is required to fulfil the request. It may be the case that Blueprint Reality may not be in a position to respond to a data access request. If a request is refused in full or in part, we will notify you in writing, providing the reasons for refusal and the recourse available to you. You have the right to make sure that the information that we have concerning you is accurate. You may always request correction of your information in order to ensure its accuracy and completeness. Any request to correct information must be made in writing and provide sufficient detail to identify the information and the correction being sought. If your information is demonstrated to be inaccurate or incomplete, we will, so far as practicable, and as soon as practicable, correct your information as required and send the corrected information to any organization to which we disclosed the information in the previous year. If the correction is not made, we will note your correction request in your file. You have the right to obtain from Blueprint Reality the erasure of information concerning you. At any time, you may delete your account and uninstall the Services or products. You may also request that Blueprint Reality erases the information that concerns you. Any request for the erasure of information must be made in writing and provide sufficient detail to identify the information and the erasure being sought. Blueprint Reality will respond to all requests for erasure within a reasonable amount of time or provide written notice of an extension where additional time is required to fulfil the request. In the event that you delete your account and the product or Services or request erasure of your information, we will use commercially reasonable efforts to remove your information from our files, however, we may not be able to delete some of your information to the extent that such information is still necessary in relation to the purposes for which they were collected, or in relation to a legal obligation of Blueprint Reality and we may also retain, use, and share anonymized data that we previously collected prior to your deletion of your Account. For emails, you may click on the “Unsubscribe” link in the email. For location, you can change your location access using your mobile device settings. Please note that changing your consent will change our use of your information as part of the Services which may result in a change in your experience. Note that even if you opt-out, we may still send you non-promotional emails, such as emails about your accounts or our ongoing business relations. You have the right to communicate with Blueprint Reality about any issues that you may have relating to your information. You may also write to the Information and Privacy Commissioner of British Columbia. Please note that the scope of this Policy is limited to information collected or received by Blueprint Reality through your use of the Services. Blueprint Reality is not responsible for the actions of third party people or companies, the content of their sites or services, the use of information you provide to them, or any products or services they may offer. Moreover, there may be links to third parties on our Sites which may direct you away from our site. Any link to any third party site does not constitute our sponsorship of, or affiliation with, those people or companies, and we strongly encourage you to read their privacy statements as we are not responsible for their privacy practices. When you use your mobile device to access our Sites, we may receive information about your location and your mobile device, including a unique identifier for your device. We may use and store this information to provide you with location based services, search results, and other personalized content and services. Most mobile devices allow you to control or disable location services in the device’s ‘Settings’ menu; please note that turning off location services may result in you losing access to certain features and Services.